Fashion is a weird industry. For years, designers like Gianni Versace and Giorgio Armani have worked to create masterpieces that invoke the emotions of the masses, engaging stunning designs that only exist to be touted up and down a runway. But what happens if the needle and thread are passed from the designer to a bunch of car nuts with Mercedes-AMGs? Meet Destroy vs. Beauty's BurnOut collection. 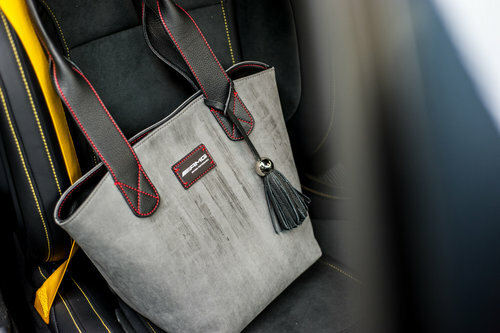 The designers of the fashion accessories have taken a unique approach to create their motif. 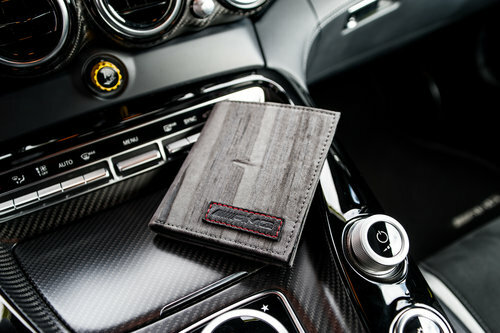 A neutral-colored fabric is first carefully chosen to create a beautifully accented set of driver-themed gear. 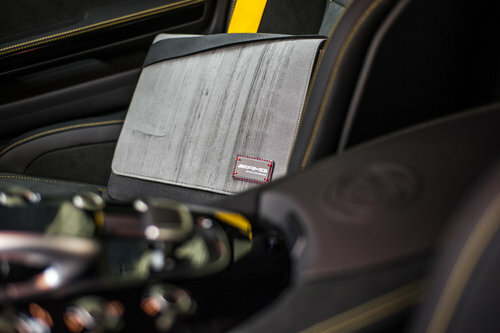 Next, the designers take the raw materials to a racing track where they undergo a special treatment that is unlike any other, courtesy of the raw power produced from the AMG GT R.
A flat piece of the material is placed on the tarmac, just in front of the GT-R's rear wheels. With launch control engaged, the driver mashes the throttle in order to leave a streak of melted rubber across the fabric like a powerful signature. 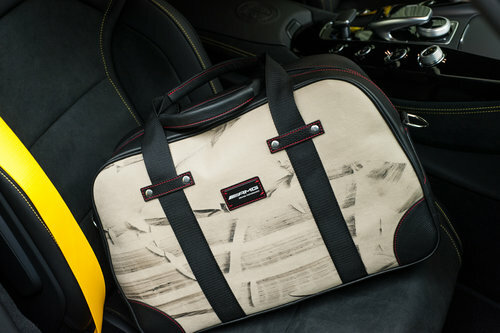 The results create astoundingly unique pieces of art designed for men and women alike. 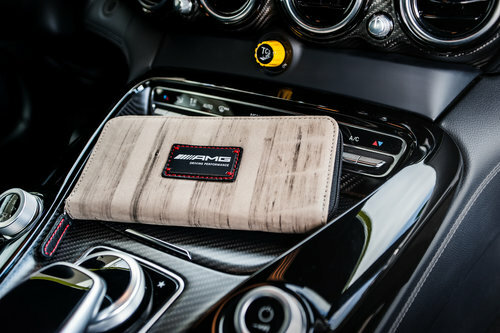 The most affordable entry into the collection are wallets, priced from $202 (179 euros), though the starter price for even the smallest messenger bag is $428 (379 EUR). 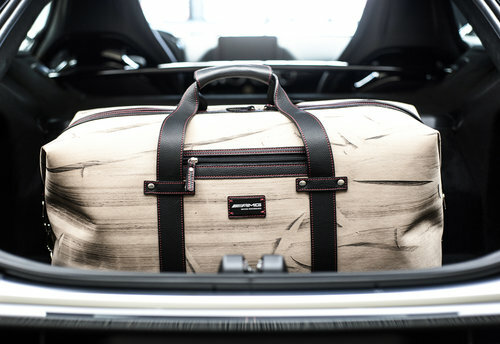 Big spenders can purchase a laptop bag for $597, day-trip bag (called the Speedweek) for $654, and an aptly-named top-of-the-line Weekender bag for $767. 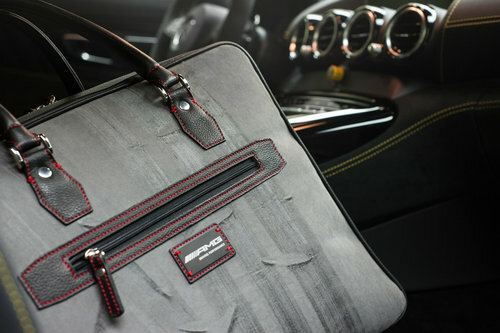 While most fashionistas might wonder someone would run over an expensive satchel, others see the tread marks as a badge of honor, especially from a car that holds the prestige of an AMG GT R. As an enthusiast, these bags and wallets are right up my alley. Merc's newest speed machine blends the line between sports car and sedan even further. If true, the A45 S would sport a Bugatti-beating specific output of 207.5 horsepower per liter.